Sometimes a singer’s destiny catches up with them. For the Romanian soprano Teodora Gheorghiu that moment occured courtesy of Jose Carreras, at the Julian Gayarre International Singing Competition. She had not won and Carreras, who was on the jury that year, was outraged. He approached her and told her that in his opinion she had deserved the prize, and insisted on giving her a scholarship equivalent to the prize money, from his own pocket. To have such a great tenor make such a gesture meant the world to the young soprano. “It was the first time that someone had told me I had a future as a singer”, she says. Her path was set. But artistic destiny is usually rooted in nature. To this day she often feels singing to be a spiritual act – “it starts in the very core of you and pours out”. After a series of Music competition prizes – among which notably the Queen Elisabeth Competition – and having won the Herbert von Karajan scholarship, she made her debut at the Vienna Staatsoper at 25 years old, and joined the company as a principal artist from 2007-2010. In Vienna she sang a wide array of leading roles, including Adele (Die Fledermaus), the Queen of the Night (Die Zauberflöte), Nanetta (Falstaff), Fiakermilli (Arabella), Adina (L’Elisir d’Amore), Elvira (L’Italiana in Algeri), Sophie (Werther), and Eudoxie (La Juive). She describes the experience of singing in the top flight and working with such top-flight colleagues as Juan Diego Florez, Neil Shicoff, Leo Nucci, Ramon Vargas, Seiji Ozawa, Adam Fischer, Marco Armiliato, Bertrand de Billy and Franz Welser-Möst among others in one word, “joy”. Soon the bel canto soprano was being recognised as one of the world’s most exciting young talents. When she decided to leave Vienna in 2010, conductor Christophe Rousset approached her with an idea for her first recording, an homage to the 18th-century soprano Anna De Amicis. The resulting album, on the Harmonia Mundi-distributed Aparté label, included mostly premiere recordings of arias by Mozart, Gluck, Borghi, Cafaro and Mysliveček and was named Disc of the Month by International Record Review (which praised Gheorghiu’s “stunning vocalism”) and by Opera magazine, and was BBC Radio Three’s Disc of the Week for 3 consecutive weeks. Many times throughout her career she has given Lieder recitals. In 2013 she released her second album Art Nouveau featuring Lieder by Strauss, Zemlinsky, Ravel and Respighi as exemplary expressions of this European Jugendstil Art movement in music. 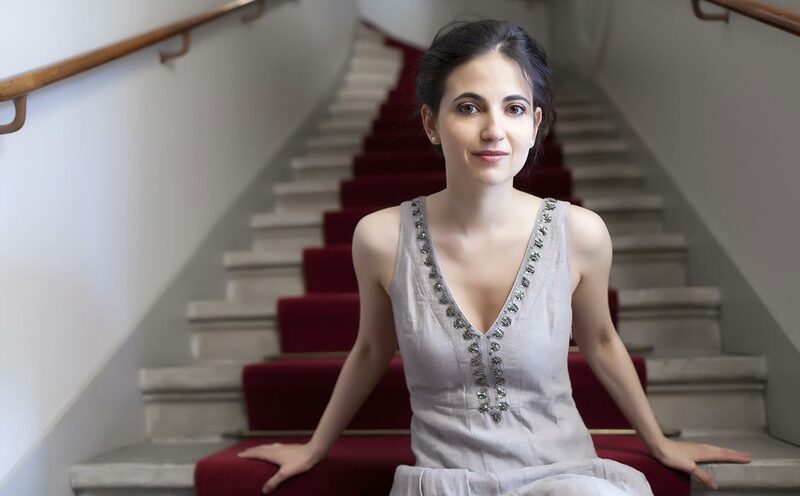 While still celebrating her latest success in the role of Sophie (Der Rosenkavalier by Richard Strauss) at the Glyndebourne Festival, an important development had announced itself in Teodora Gheorghiu’s voice which in the meantime has now turned into a more concrete shape. After all these years of experience in the field of a lyric coloratura soprano as well as in the Bel-Canto repertoire, the change of vocal Fach allows her henceforth to interpret a series of fascinating new roles which she had never hoped for. In December 2014, she made her debut in the role of Puccini’s Mimì (La Bohème). In May 2015, she interpreted the Countess in Mozart’s The Mariage of Figaro on a Tour through Japan.